Minimum: Must order at least 500. Plating: Your choice of brass or nickel. Larger Sizes: Call for quote. 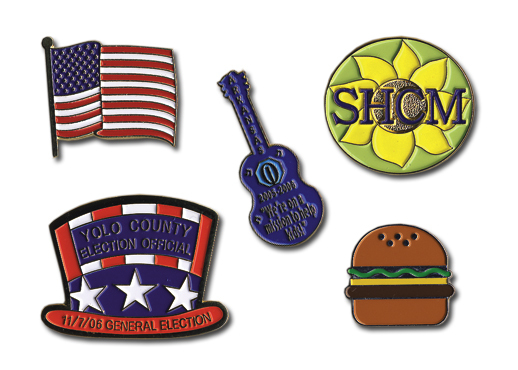 Economy Iron lapel pins are the perfect answer when you need large quantities of pins for promotional giveaways. Your design is stamped into the metal and either brass or nickel plated. The recessed areas are hand-painted with the colors you choose and baked to harden. 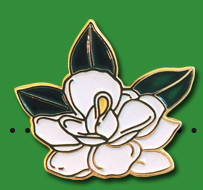 Just like soft enamel, the enamel is only in the background areas so you can feel the "peaks and valleys." You may add an epoxy dome, but it is not necessary for the durability of the pin.